Not everything about vegetable gardening turns out as expected. 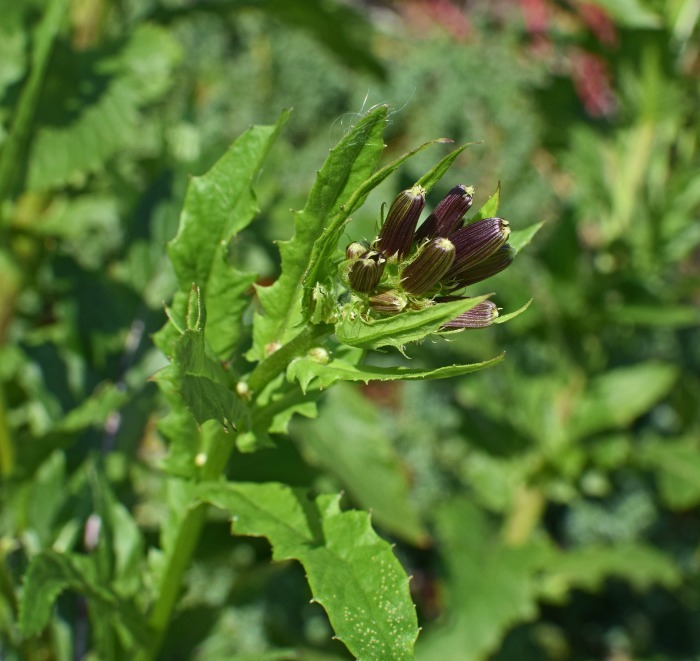 There are many vegetable garden problems that can plague the average gardener. Fortunately, there are also easy solutions to those problems. 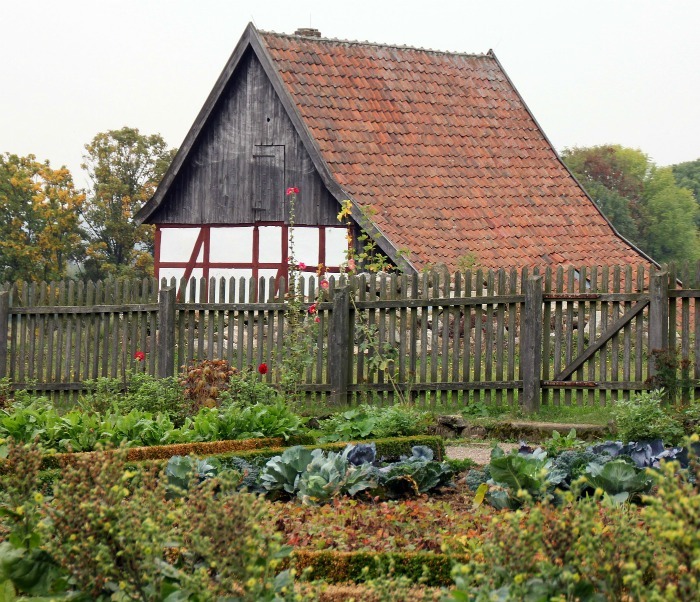 Troubleshoot your garden with these easy tips to get a bumper harvest this year! You have spent the first part of spring getting vegetable garden seeds into the ground. You think you gave your garden just the right amount of water and added compost and still your vegetable garden is not producing as you want it to. You are not alone! 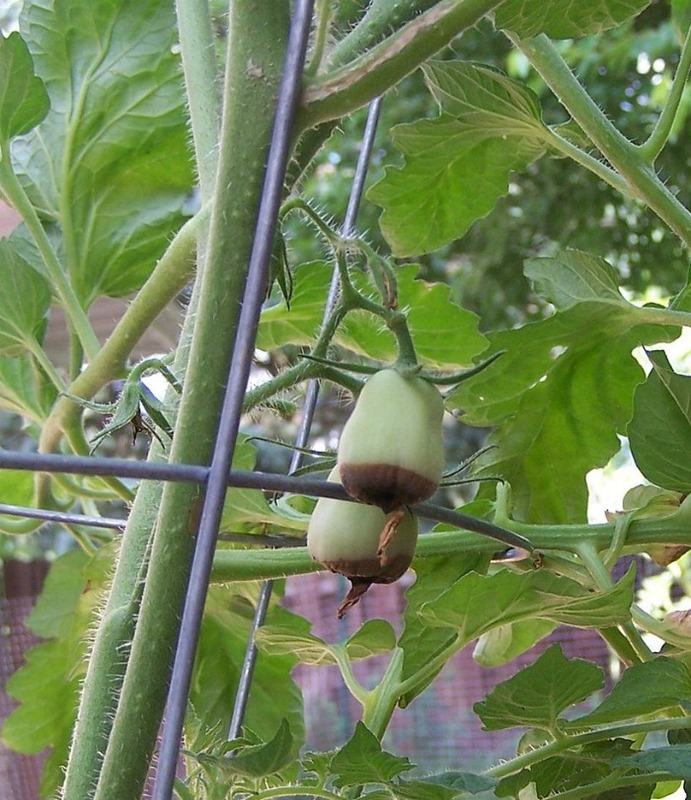 Many vegetable gardens have similar problems when it comes to producing. Often the cause is the weather, the water or wishful thinking on your part. Usually, I come back in with a basket of goodies for the evening meal. But there are some days when there is not a vegetable in sight. This got me thinking about vegetable garden problems that many people may have. Why do some gardens produce very well and others have a hard time getting a crop for you? You haven’t given them time. This one is easy, just wait a while. Some seeds take several weeks to start growing. Check your packages to see how long it normally takes for germination. You may be surprised!. The soil is too cold. Don’t be in such a hurry to get the seeds in the ground that you plant too early. 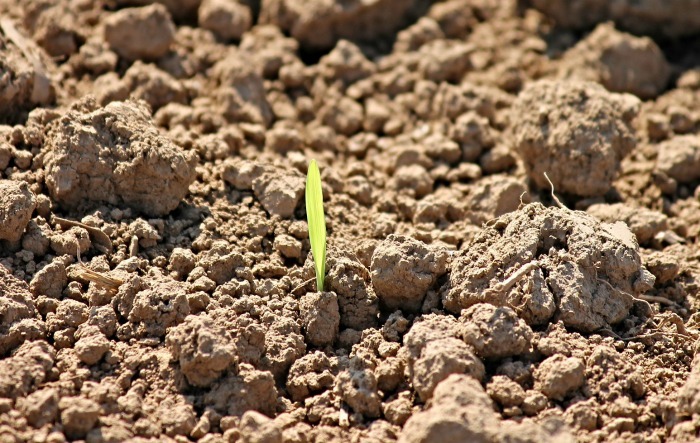 The soil needs to be warm for most seeds to germinate. Some seeds can be started indoors or in cold flats. The seeds have dried out in the ground. Watering is essential in the early days of planting. Be sure the ground is kept evenly moist . The soil it too wet. In the same way that dried out ground can have an impact on germination, so can soil that is too wet. This will rot the seeds. The solution is to replant and make sure not to give them too much water. Your seeds are too old. Most seeds will keep well, particularly if kept in the fridge but every dog has its day. If your seeds are really old, you may just need to purchase new ones! You soil is really lacking in nutrients. If you plant in heavy clay soil, you’ll have germination problems, for sure! 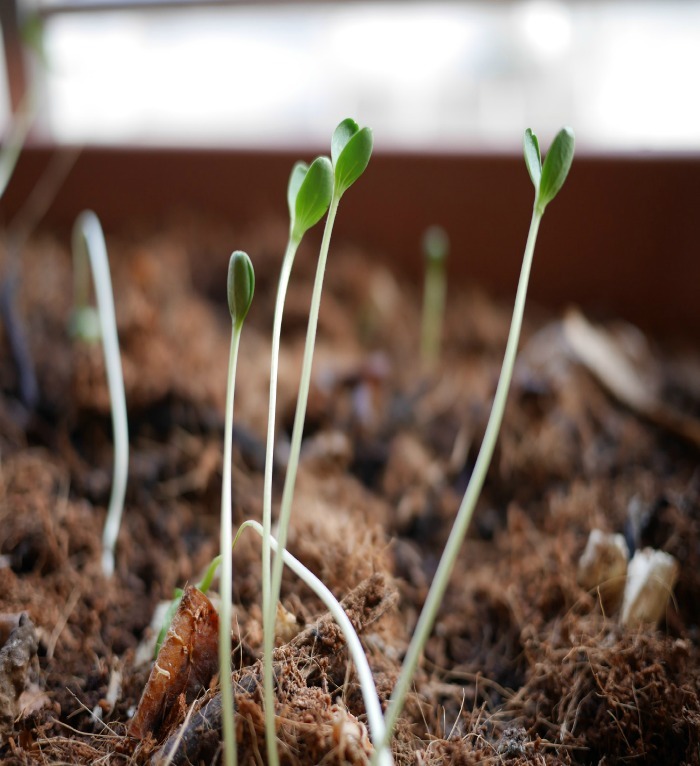 Keeping a compost pile going and adding compost to your soil can really improve germination rates for your seeds. Many plants will bolt and go to seed. This is normally caused when the temperatures are hotter than is ideal for the particular plant. It is the plant’s survival mechanism. The plant knows that death is the end is near and it is producing seeds for the next generation. Once a plant has bolted, it generally will taste bitter. Lettuce, spinach and broccoli are plants that bolt easily. You can avoid this happening by making sure that you get the plants in the ground earlier in the spring. Generally, plants that bolt easily in early summer are cool loving plants. Planting them in a shadier spot will give them a bit more growing time, as well. The best thing to do with bolted plants is to remove them, and replant the area with some that are more heat loving. Then, later in the season, as fall approaches, you can plant another crop of the cold weather lovers. Many beginning gardeners experience this problem. Vegetable plants need plenty of sunlight to grow properly. 6-8 hours a day is idea for most of them. Other causes of spindly plants is soil that is too wet, and overcrowding of plants, so that they don’t have room to grow properly. Over-fertilizing of seedlings is also a problem of plants that don’t grow correctly. Wait until they are a bit more mature to add fertilizer. This is perhaps one of the most asked about vegetable garden problems, particularly for those who grow tomatoes. if the lower leaves are the ones that are yellow, this is not too much of a problem. This is fairly common and the plant will still produce. But if the leaves are all turning yellow, something is amiss. It could be a problem with your soil. Many localities will test your soil for free. Take advantage of this and if you find that the soil is missing nutrients, you’ll know what to add in the way of fertilizer. A common cause of yellow leaves is a lack of potassium. Another cause of yellow leaves on plants is not enough light. Move or plant new plants in a sunnier spot, if this is the case. The sunlight seems right, your soil is fine, the tomato plants had flowers just fine, but you don’t get any tomatoes, or get very few. It’s most likely the weather that is to blame. If you live in the area of the country where the nights are colder than 55 degrees (or warmer than 70 degrees) tomatoes won’t produce very well. 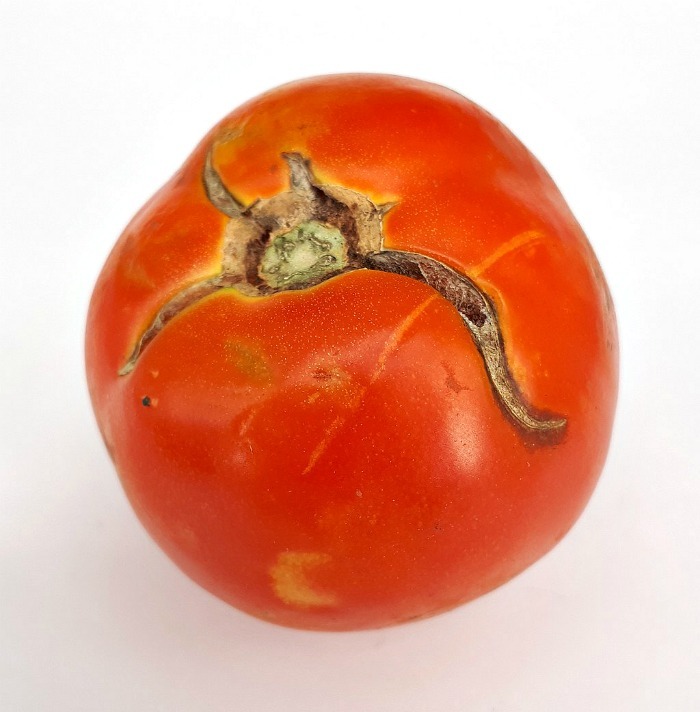 Too much humidity can cause a low yield of tomatoes since it affects pollen production, and scorching hot days for weeks on end can just be more than the tomatoes can take. I get the most out of my tomato plants here in NC by making sure that I get them in as soon as I can in the spring and then growing a fall crop as well. Another cause of tomatoes that don’t produce is too much nitrogen in your fertilizer. This will make the plant foliage get over active and grow to the exclusion of fruit. 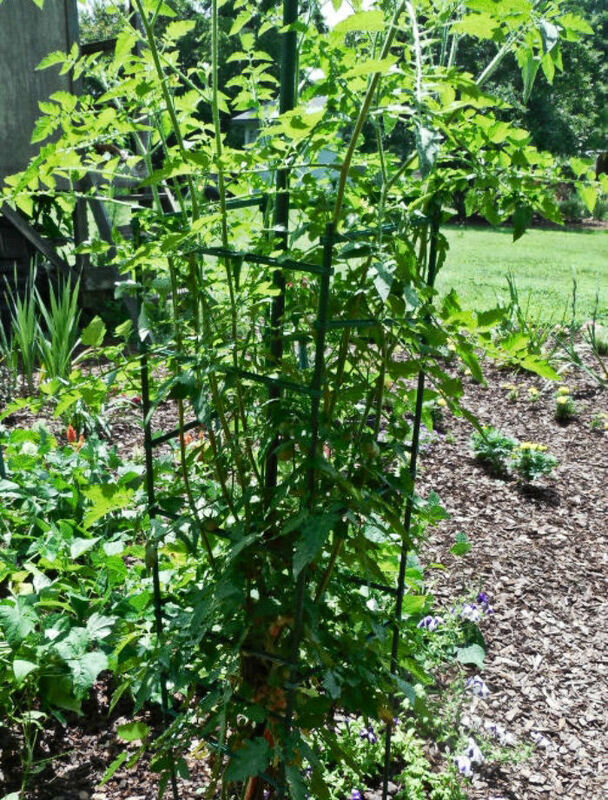 Choose fertilizer that are light on nitrogen and choose tomato plants that are fast maturing varieties so they will form fruit before it gets too hot. 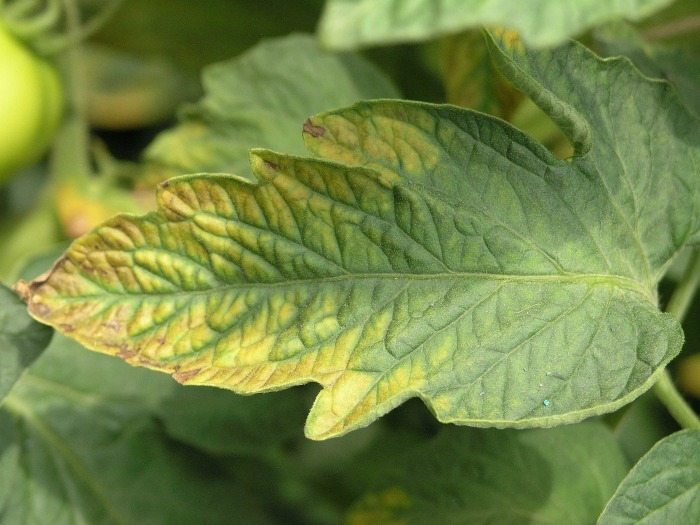 Tomatoes and peppers often have this problem The cause is a calcium deficiency. 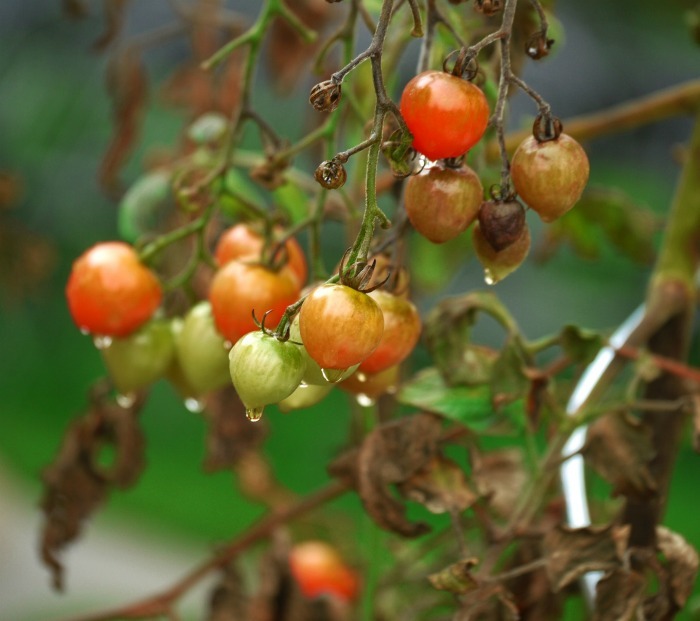 Blossom end rot occurs when the moisture in the soil is irregular or when there is too much fertilizer containing nitrogen has been over applied. If you have periods of hot dry spells and then heavy rains this can cause blossom end rot to occur. Be careful about fertilizing and apply mulch. Mulch will keep the moisture in the ground more even. You have been watching your tomatoes develop and can’t wait to bite into a juicy beefsteak tomato. And then it happens! The skins crack and then split. The cause, once again, is irregularity in the soil moisture. The plant drinks the extra moisture but can’t hold it and this causes the skins to crack. The solutions are similar to helping prevent blossom end rot. Be careful to keep your moisture levels consistent and mulch to control this. Also choose varieties that are known to be crack-resistant such as Jet Star. Also, harvesting very large tomatoes before they are completely ripe and let them ripen on the counter indoors can help prevent cracked skins.. Carrots are very susceptible to over crowding. If you don’t thin them out as seedlings, when they grow, the roots will grow around each other, resulting in twisted carrots when they are mature. Another cause of weirdly shaped carrots is soil that has a lot of clay, rocks or tree rootsthat are getting in the way of them growing properly. 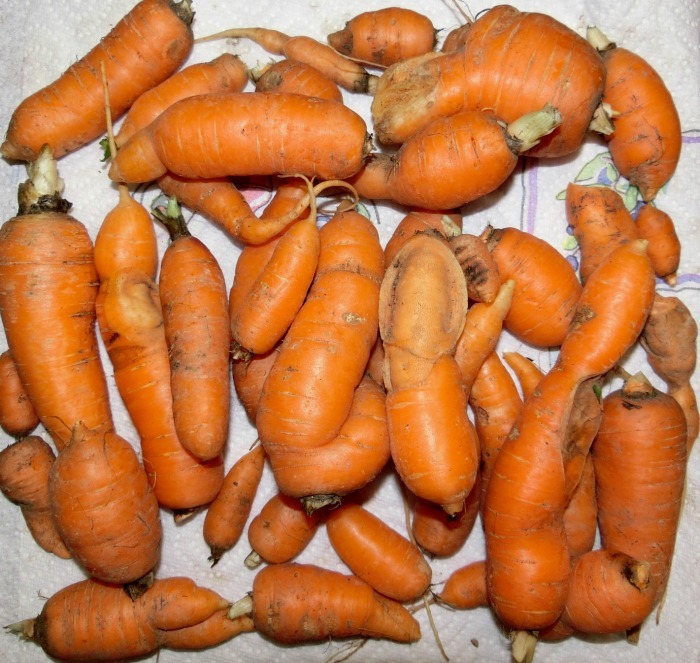 Going heavy on the fertilizer can also make carrots get multiple roots. The solution is to thin your seedlings, go light on fertilizing and making sure that the soil you plant your seeds in is free of obstructions. All vegetable gardeners need to know their hardiness zone. Many vegetable gardening problems stem from not understanding your local area, or not planting correctly for you. If you live in North Carolina, like I do, and decide to grow Brussels sprouts and lettuce in the summer months, you won’t be a happy gardener. These plants do well here in the spring and then again in the fall. Know your planting zone and plant accordingly. One of my big vegetable garden problems has been the local critters. We’ve all been there. We go into the garden and find a dozen tomatoes on the ground, all red with ONE bite out of them. The cause is most likely squirrels. Other animals that love your garden as much as you do are rabbits and deer. If you have a lot of local animals that love to visit, you will need to fence your garden well. I once had a crop of green beans in a row about 15 feet long. One day there were there and the next day they were one inch stems. Rabbits and deer can decimate a garden very quickly. Even though today”s excursion gave me not a single vegetable, I am hopeful about tomorrow. There are plenty of veggies to come soon, of course, since I am careful to follow my tips shared above. 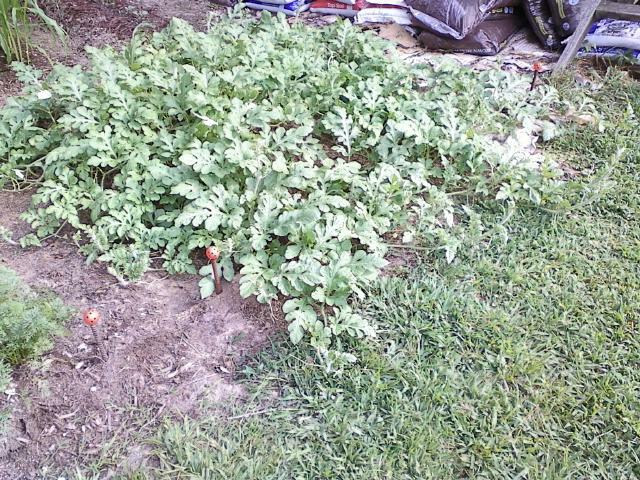 After all, I am still waiting for this 10 foot wide watermelon patch to convince me that it WILL produce for me. Yesterday it looked as though one of the flowers might actually be trying to be a melon! Then my only problem will be figuring out when to harvest watermelons. I’m not good at the clunking the end test! What vegetable garden problems have you experienced? Do you find something to harvest every day, or does your garden need troubleshooting? Please leave your thoughts in the comment section below. My crookneck squash have blooms and even some small squash but now the blooms are wilting and dying. what should I do. I am container gardening. The plants grow tall , but not much fruit. I had a container for radishes, the green top grows really big but produces no fruit. I am in NJ and I don’t seem to be able to find soil testing available. It could be a lack of fertilizer, perhaps?